The weekend of January 18th was a big one for Fleet Feet Knoxville's long distance runners. We had training group members of all levels competing in the marathon and half marathon distance all around the US in South Carolina, California, and Arizona. It was great to see the Fleet Feet Knoxville family running all across the nation! Training together as a couple is great. Training together as a couple with Fleet Feet is even better. The program pushes us individually as athletes as well as allows each of us the opportunity to train with people our own pace. Even though we may not "run together," we share experiences- good runs and bad runs. We can celebrate each other's victories and sympathize with each other's defeats. We love training together and doing it with Fleet Feet makes it even more special. Thanks, Katie! We're glad to have you and Mike as part of our team. The training for the marathon and race were challenging but I would not trade the experience for anything. What an awesome feeling crossing the finish line! Wow! I did it! I am so proud of Greg finishing his first marathon. It was so neat to get to see him cross the finish line! Thanks Cheryl, Shahin and all our Fleet Feet family for helping us make lasting memories. Looks like we have some serious running power couples on our training team. Click here to read more about Lisa and Greg's Fleet Feet journey. The people on the side of the roads were very encouraging and kept saying, "Just one more corner!" I am not sure they really knew just how many corners there truly were, but I rounded every one and finally, when I saw my Mom close to the finish, the tears started, and I could see the light blue arch of the finish line and hear the music and cheers of the spectators, I did it, I actually did it! 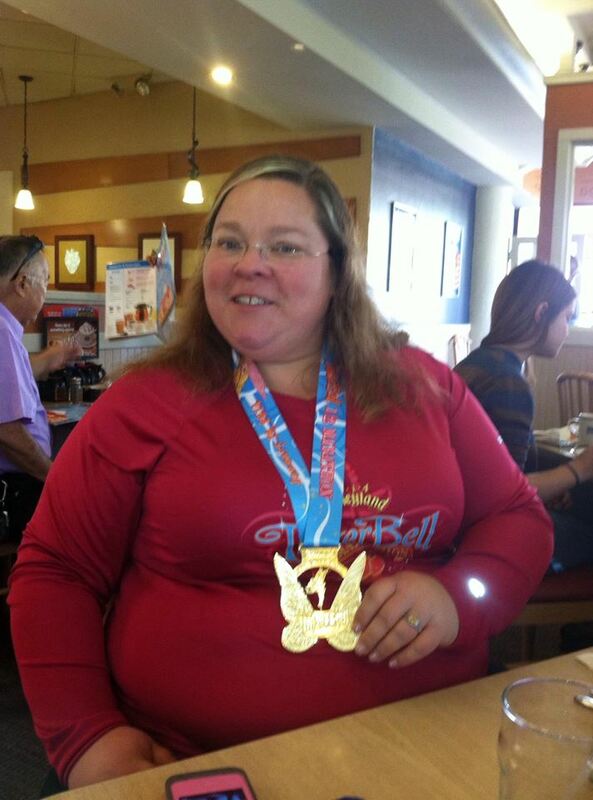 Click here to read the rest of her amazing and inspirational story. Great job Christy! 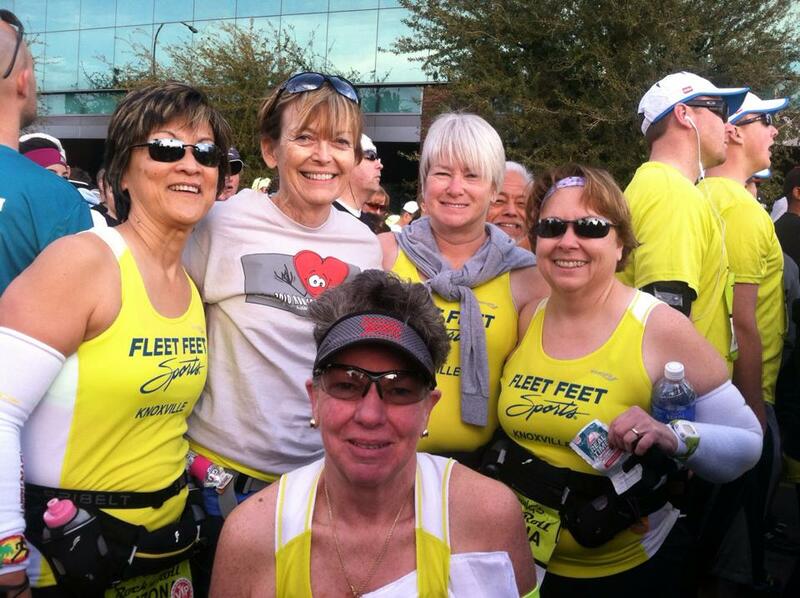 Also on Sunday, Doreen, Dana, Connie, Eva, Anne, and Jeanie (not pictured) traveled to warmer climates together to compete in the Phoenix Rock 'n' Roll Half Marathon. These ladies have been part of the Fleet Feet training program for years, continuing to inspire each other and those around them. We're so proud to see what they've accomplished together. Keep on rockin'!